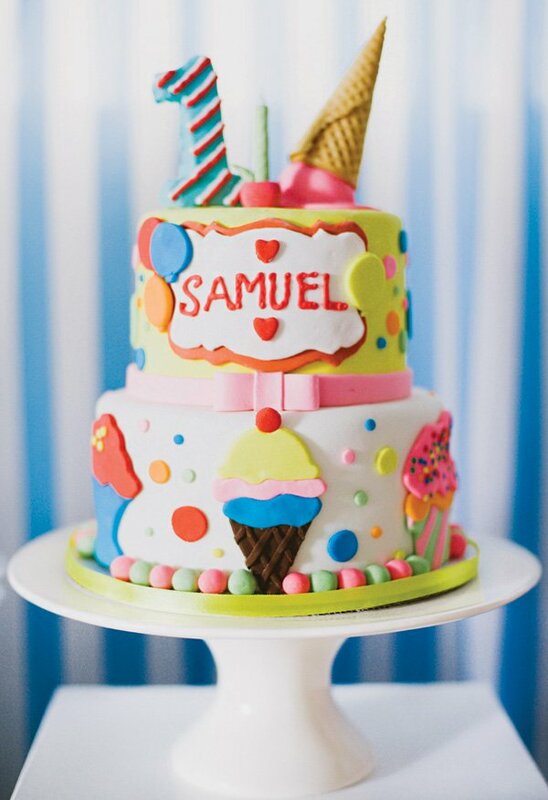 I scream, you scream, we all scream for an Ice Cream Shoppe Birthday Party Scoopery! 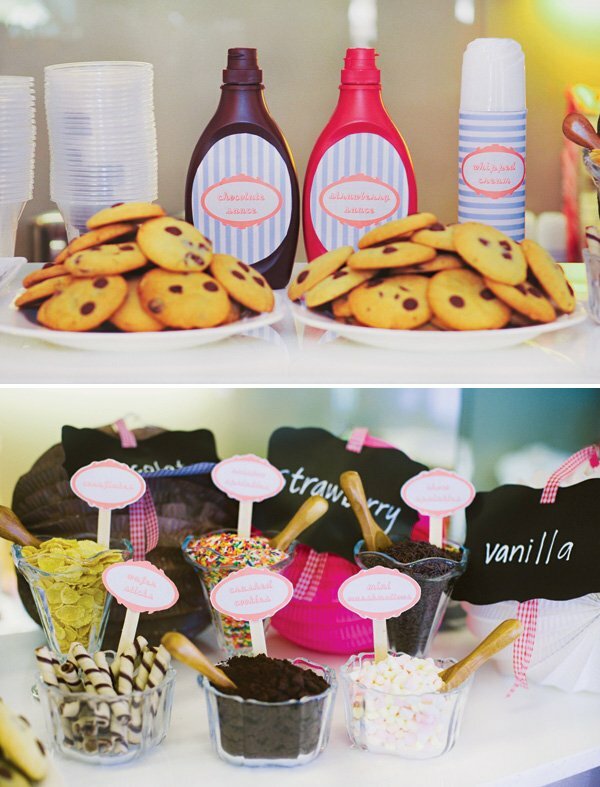 San Diego is having quite the heat wave this week, so a big bowl of ice cream sounds like the perfect way to cool off. 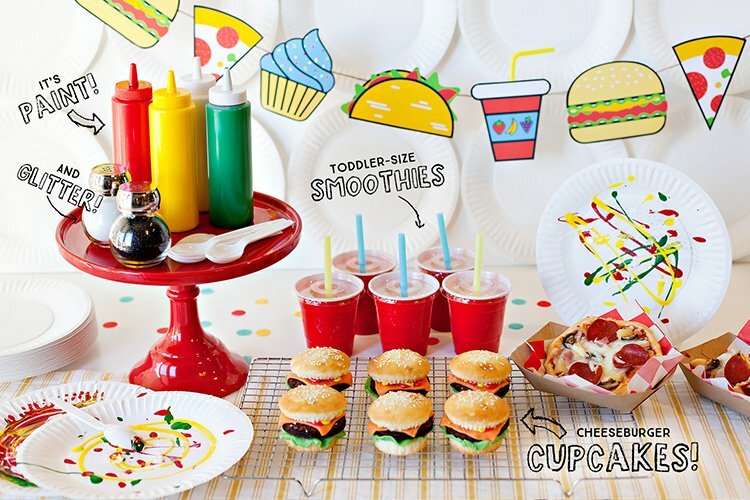 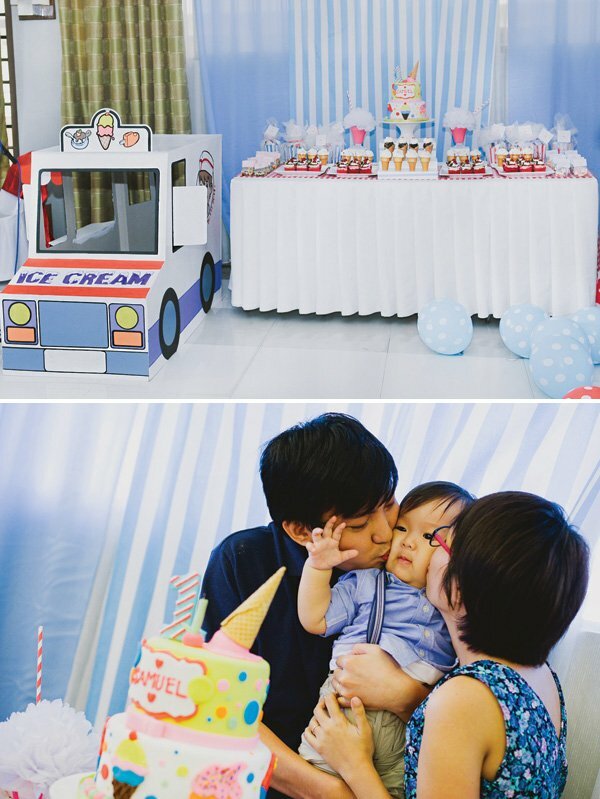 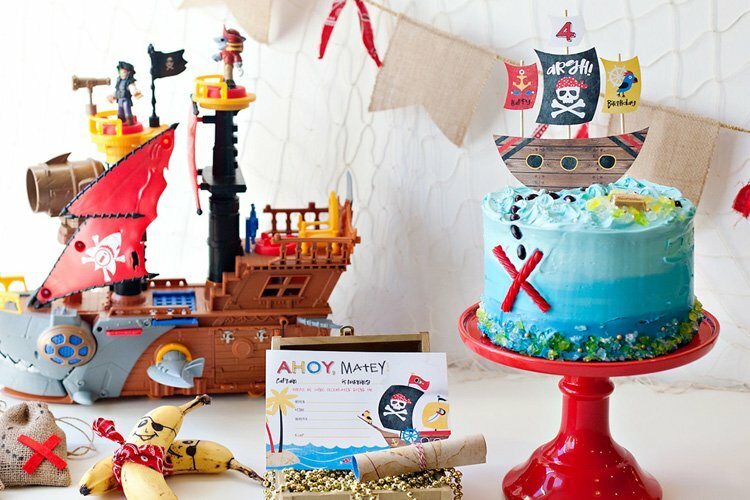 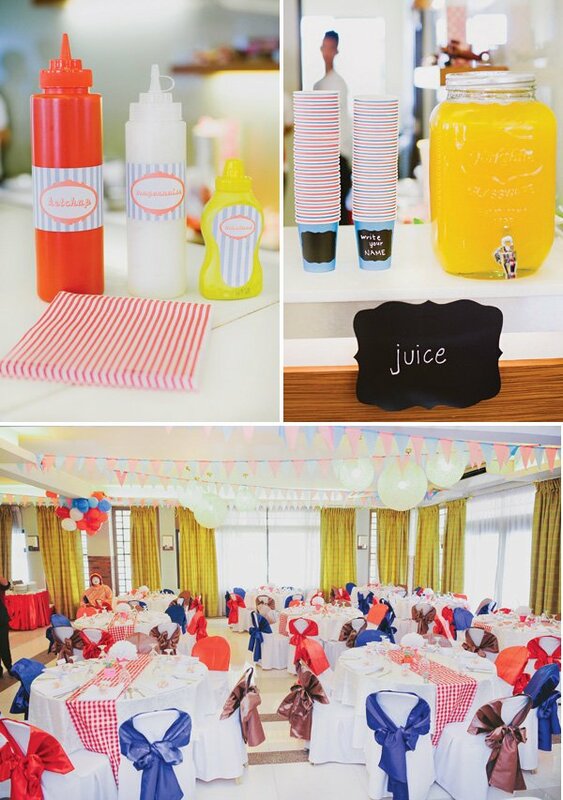 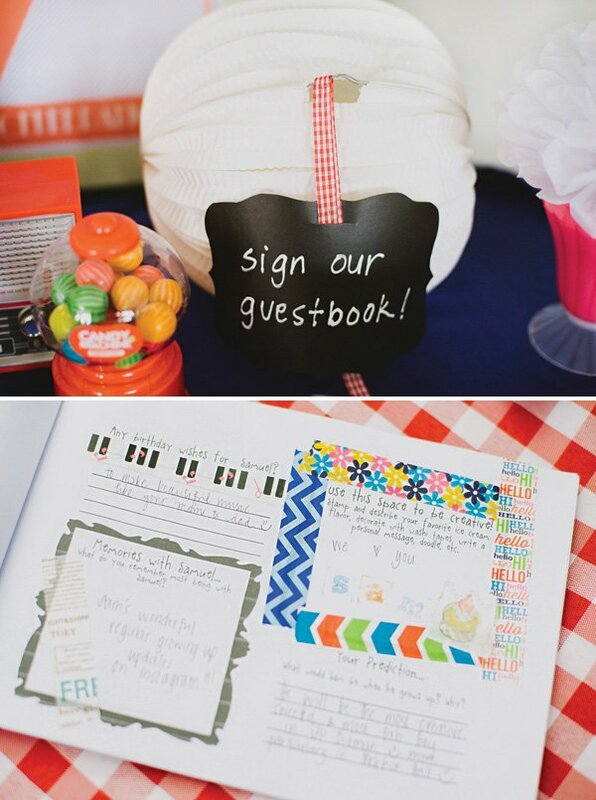 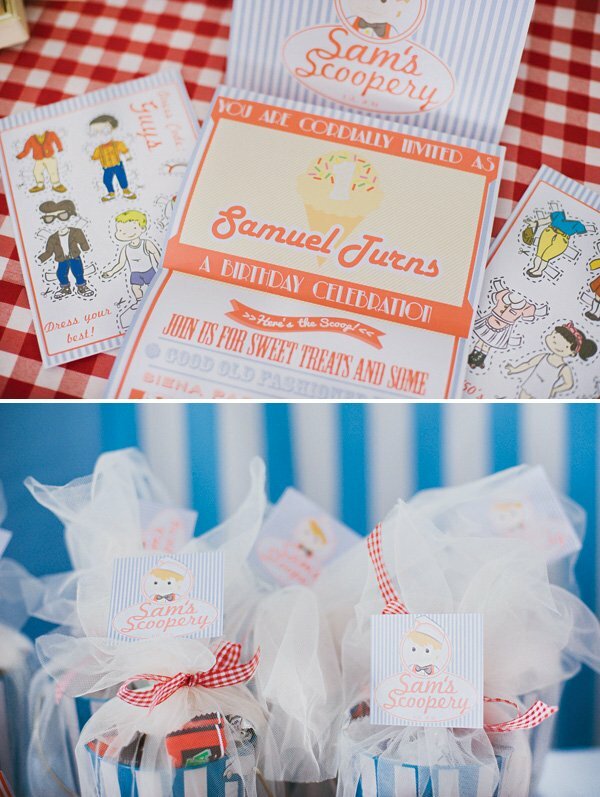 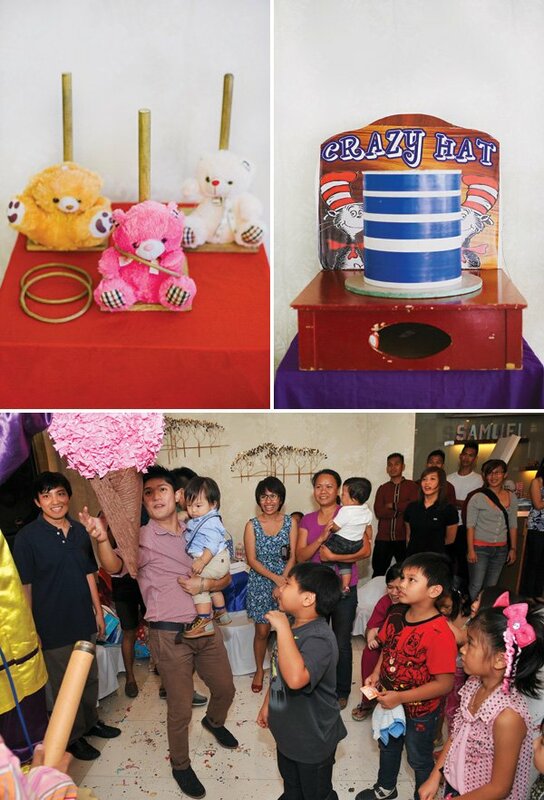 Johann Marie Torres of Design, Create, Craft scooped up lots of adorable little details for her son’s first birthday, including tons of creative DIYs, a sprinkle of family fun, & an adorable ice cream cone cake that is the cherry on top to this delicious party! 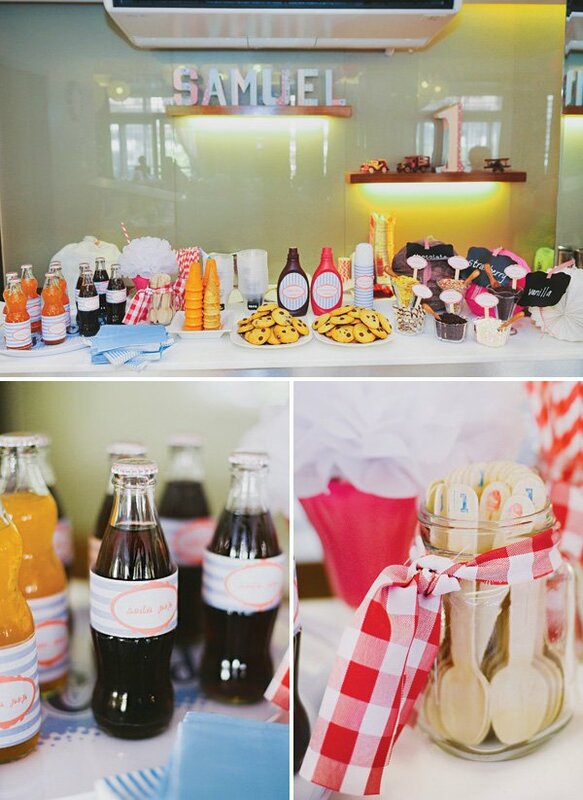 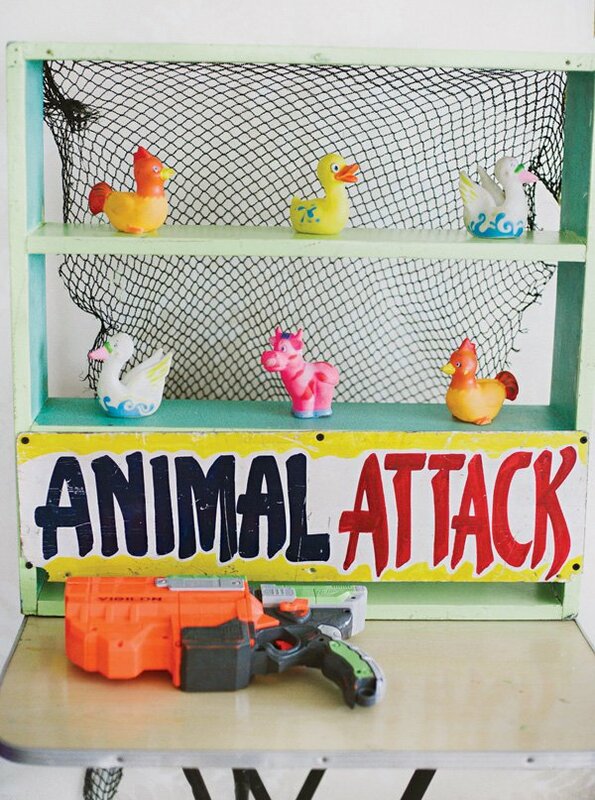 I love designing parties! 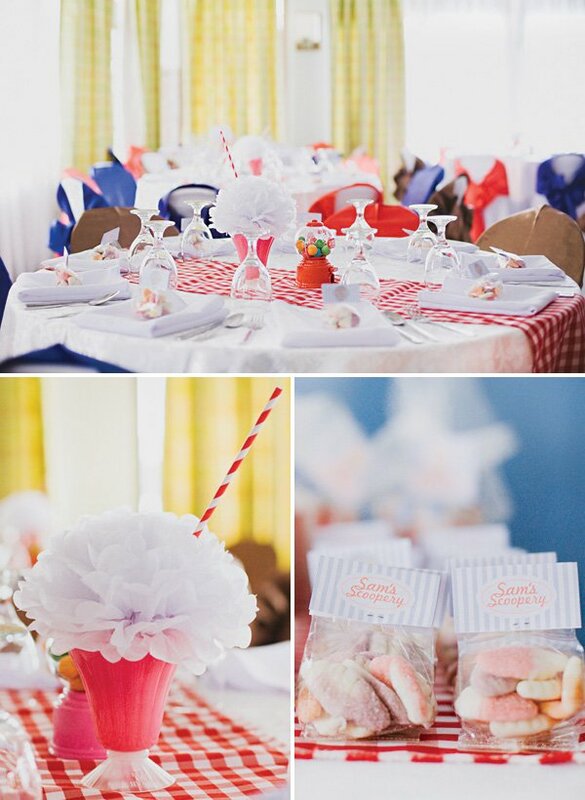 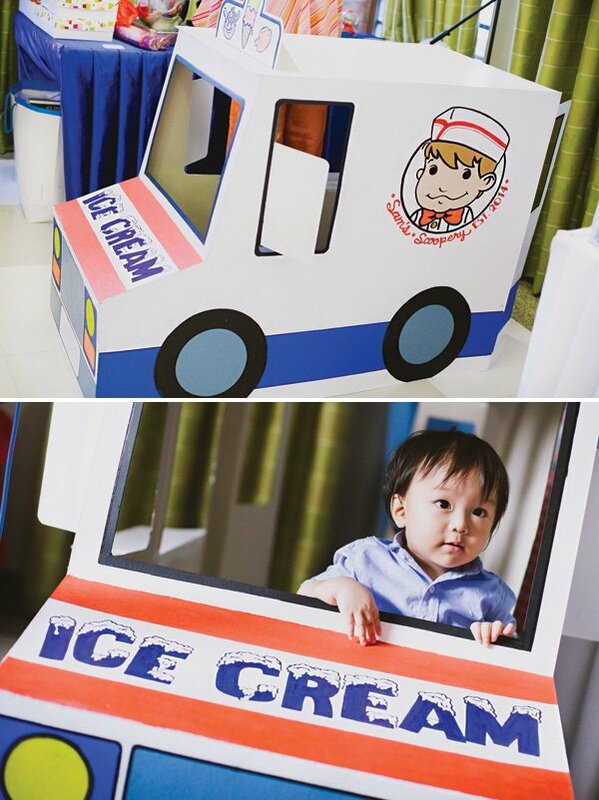 It was my dream to create an ice cream themed party for my son’s 1st birthday. 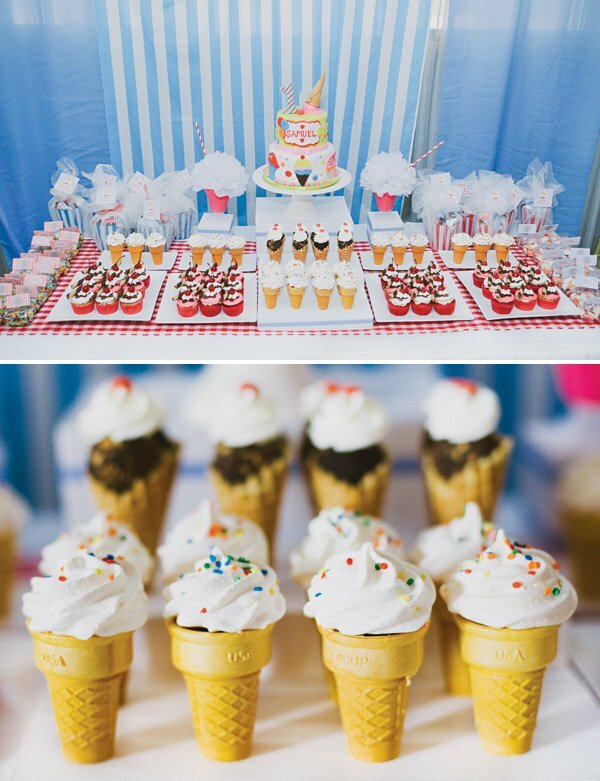 My husband and I had a very modest budget, just enough to hire and book the essentials — the caterer, baker, photographer, games, photo booth and the host/magician/clown. 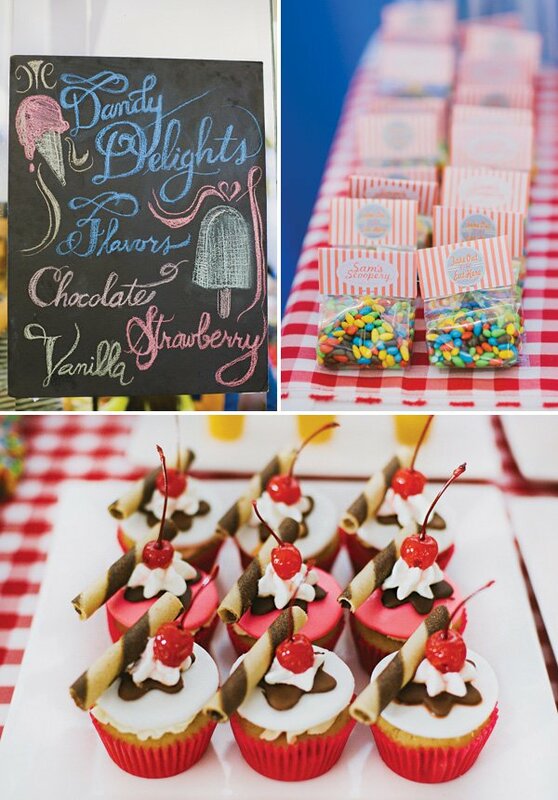 Everything else was DIY with lots of help from my family, including the decor (like the ice cream truck), decoupaged letters, buntings, milkshake table centerpieces and ice cream piñata, favors, prizes, guestbook, all of the paperie (invitations, food tags, stickers, activity book), the cake and dessert buffet setup, and the ice cream bar. 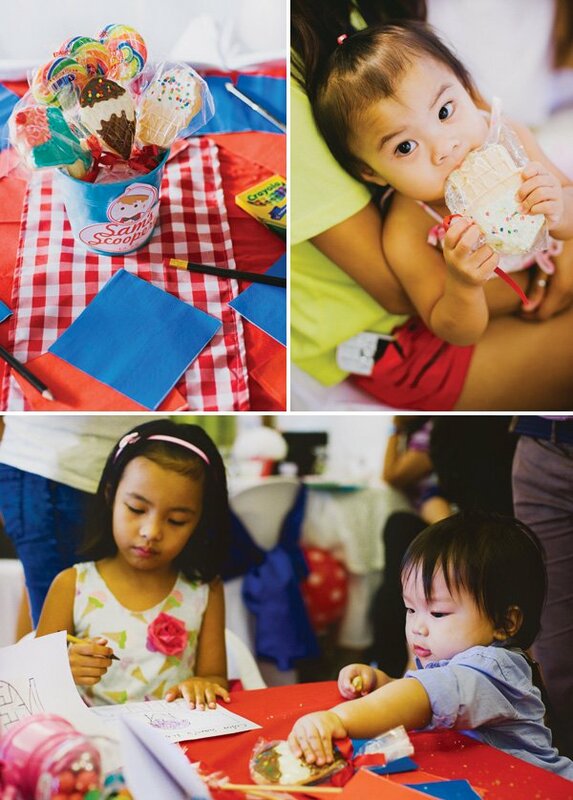 My cousin and I went to flea markets to buy all of the materials and party supplies we used to help stretch our budget.